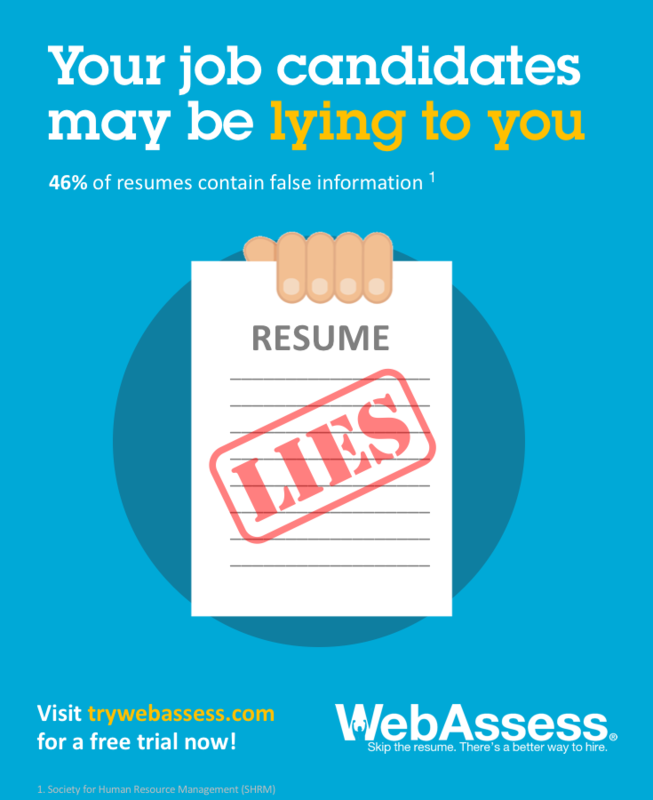 Are you affected by bad hires? 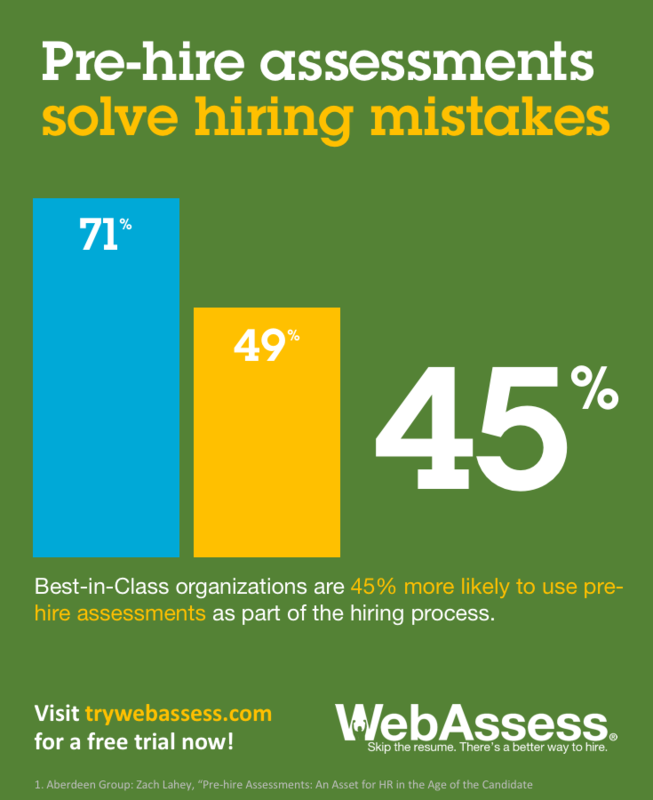 Solve hiring mistakes with pre-hire assessments! 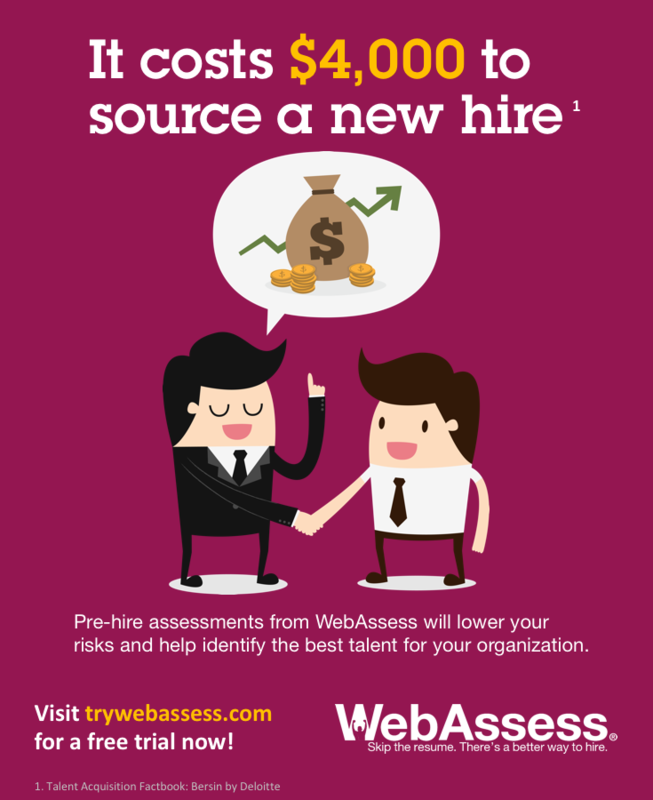 How much are you spending on sourcing new hires? 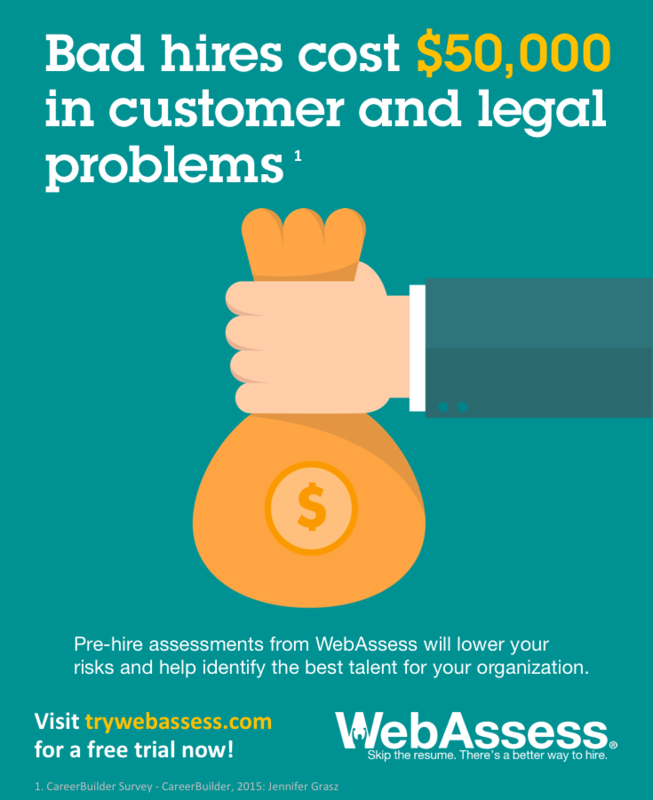 Reduce your legal problems with pre-hire assessments! 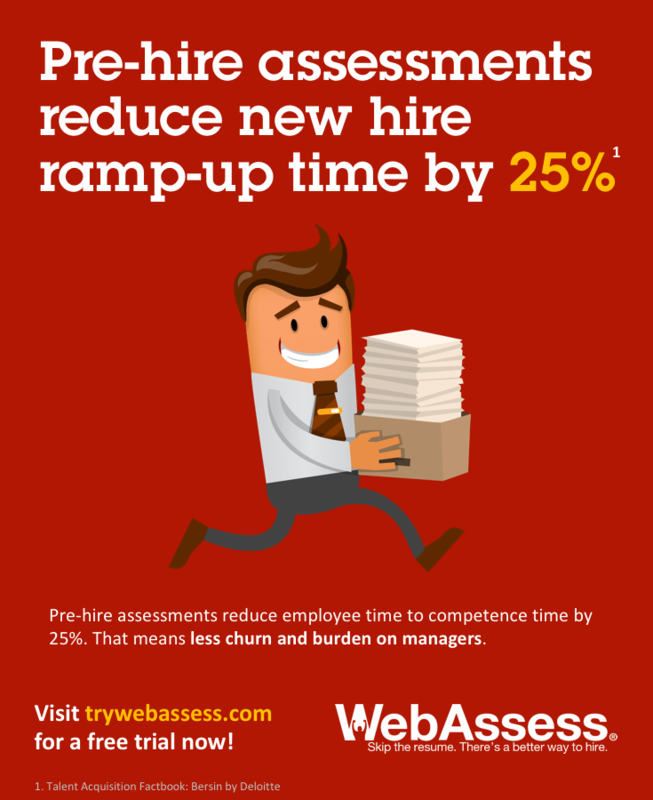 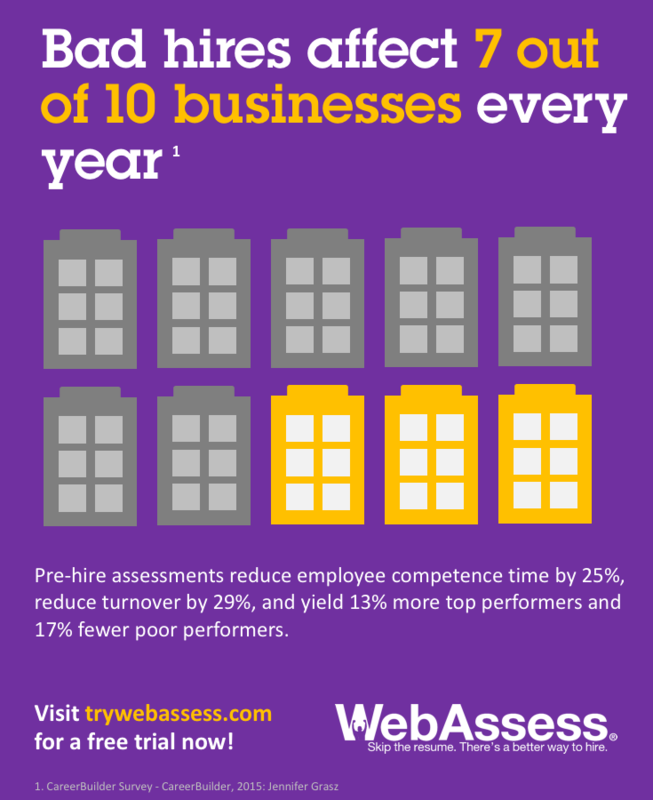 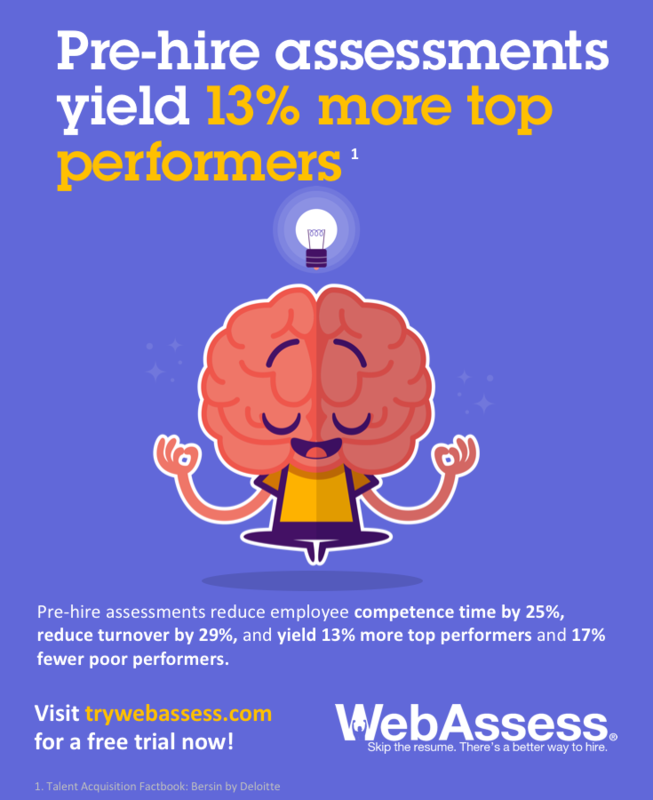 Reduce new hire ramp up time with pre-hire assessments! 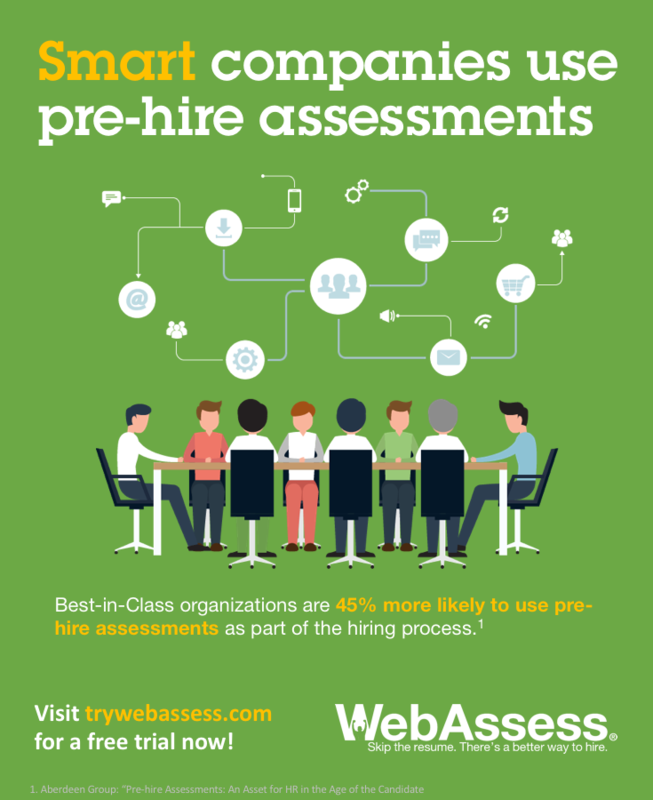 Bump up your success rate with pre-hire assessments! 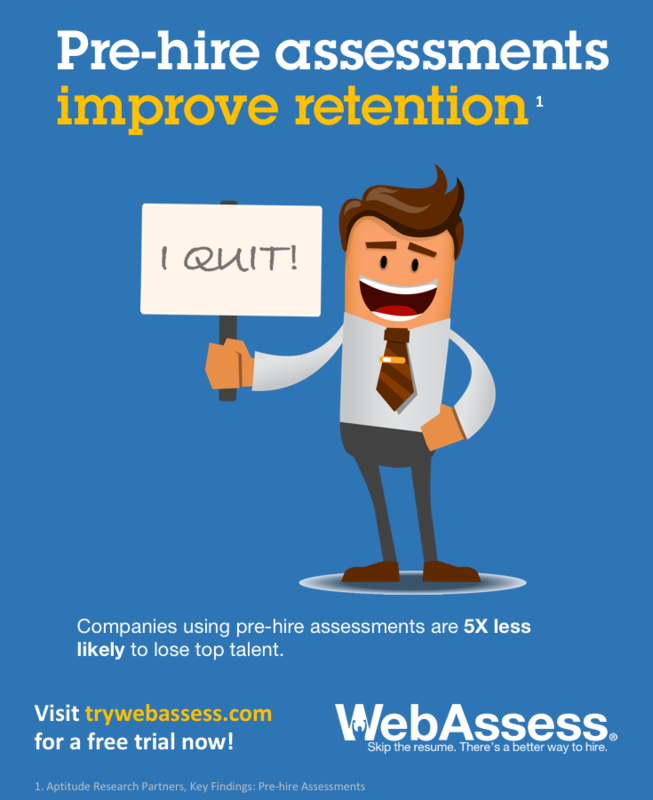 Improve your retention with pre-hire assessments! 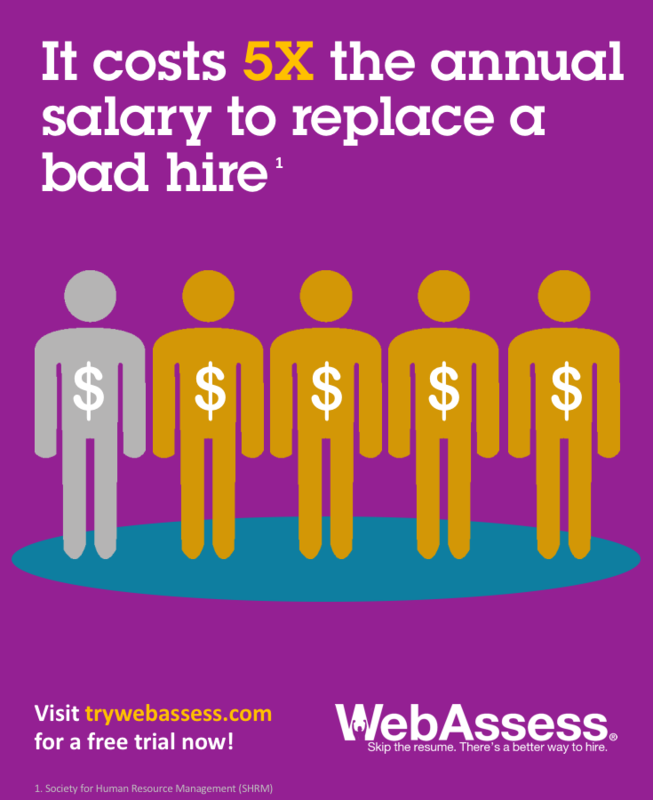 Making a bad hiring decision is costing you more than you think!